Though it has gotten a lot of hype in the last few years, course flipping is nothing new. Some of the technologies we're using to make it happen may be new, but engaging students, getting them to think creatively and critically, and making the best use of class time are strategies that have surrounded education for hundreds of years. When instructors approach DELTA staff for help with course flipping, they're often surprised that the conversation is more about sound teaching principles and less about technology. 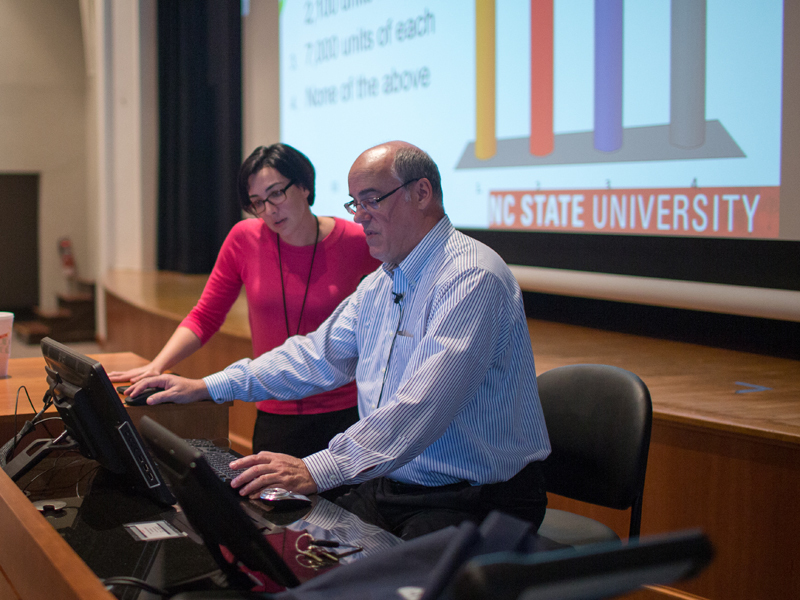 "Course flipping is a way of using technology tools outside of the classroom to support a more engaging atmosphere inside the classroom," said Daniel Davis, DELTA's associate director of Instructional Design and Development. "So instead of familiarizing themselves with the content during lecture and applying it by themselves outside the classroom, we are switching the narrative. Once prepared, students can enter the classroom to conduct hands-on learning. Except now, they're engaging other students, TAs, and faculty and the learning is more effective," said Davis. 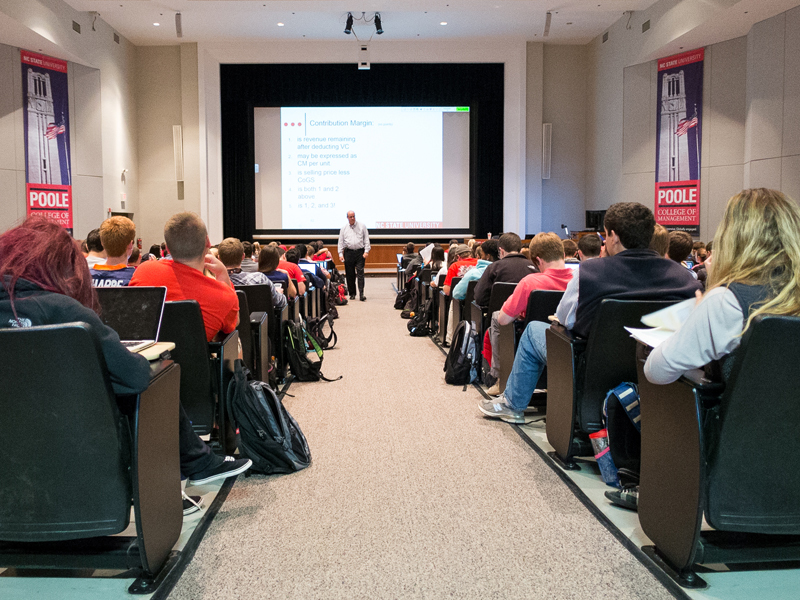 Last year, DELTA helped dozens of instructors across campus to boost engagement in their courses. Whether the instructor initially asked for a course flip or for some help putting course materials online, DELTA offered a solution. Through instructional consultations, workshops, seminars and course grants, DELTA staff helped out. Some were whole-course projects; some were whole-lesson projects. They all had a dedication to learning objectives and student success at the core. 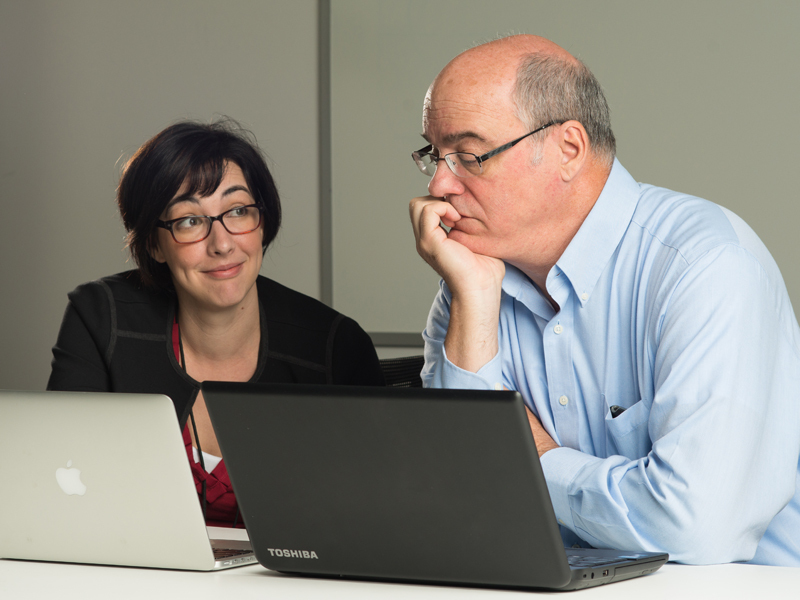 "Many instructors, when they hear flipped classroom, only think about the video portion, but it is much more than that," said Emily Ligon, lead instructional designer. "It's about figuring out ways to make the face-to-face section more interactive, where students are doing things and working through the materials, whether that's problem sessions, case studies or applied learning. Your prep work and your post work are not necessarily going to be videos, but anything that support the applied learning in the classroom." Some people would say that Chris McKittrick flipped his course, but McKittrick doesn't care for that buzzword. 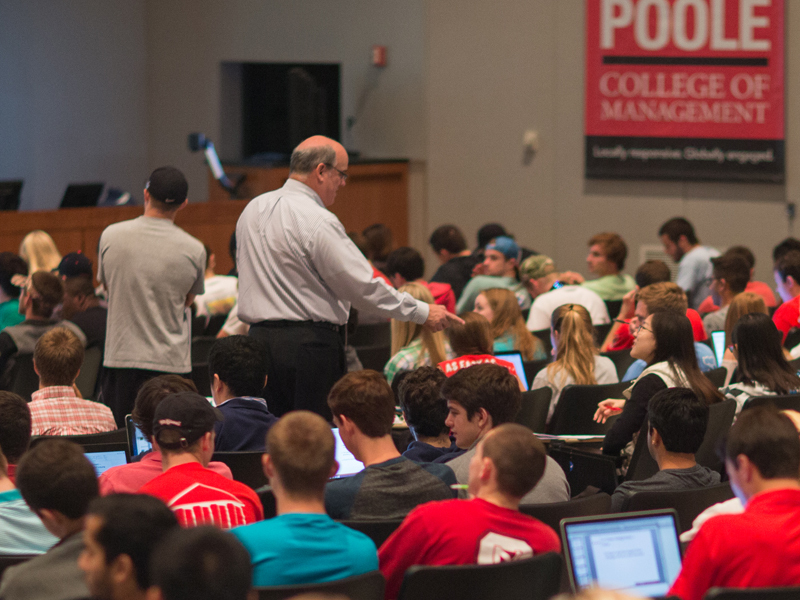 Over the last year, McKittrick, lecturer in the accounting department, worked intently with Ligon to improve learning outcomes in ACC 200: Introduction to Managerial Accounting. 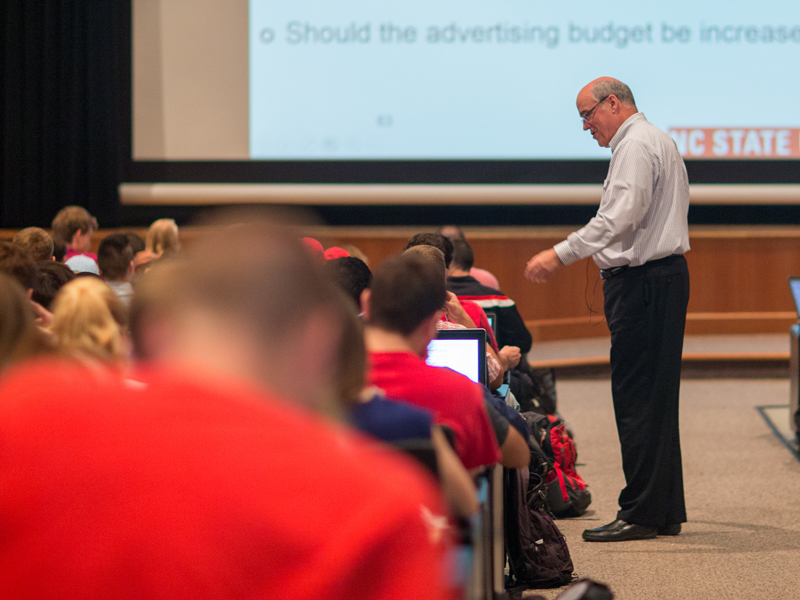 This 300-person-per-section lecture course, which presents accounting through a business lens, serves as a gateway course for many majors in several colleges. Historically, it has been a challenge for many students. "I want to create an interactive environment, to engage the students, and make them feel that they need to come to class and work, and can see the benefits of doing so," said McKittrick. 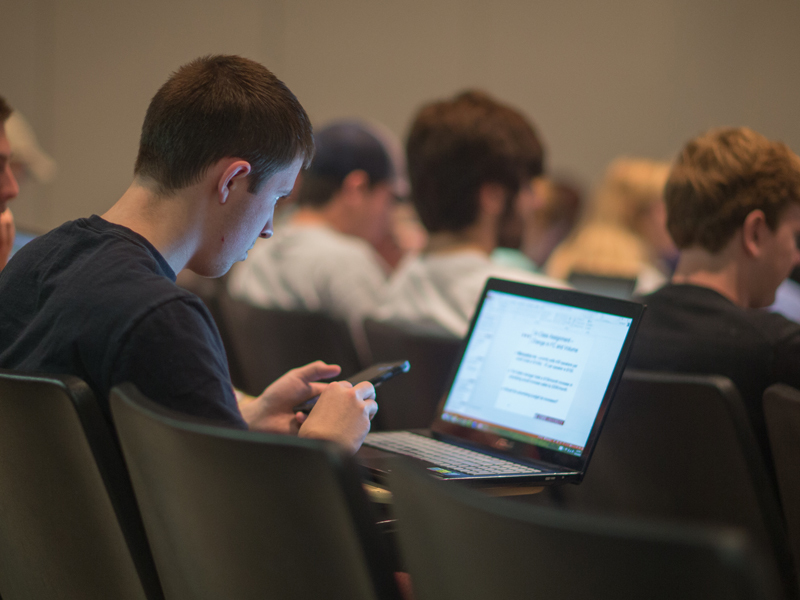 Starting in fall 2014, when McKittrick's students filed into the large auditorium lecture hall, they brought their workbooks, their pencils, and spent class working through transactions and balance sheets. 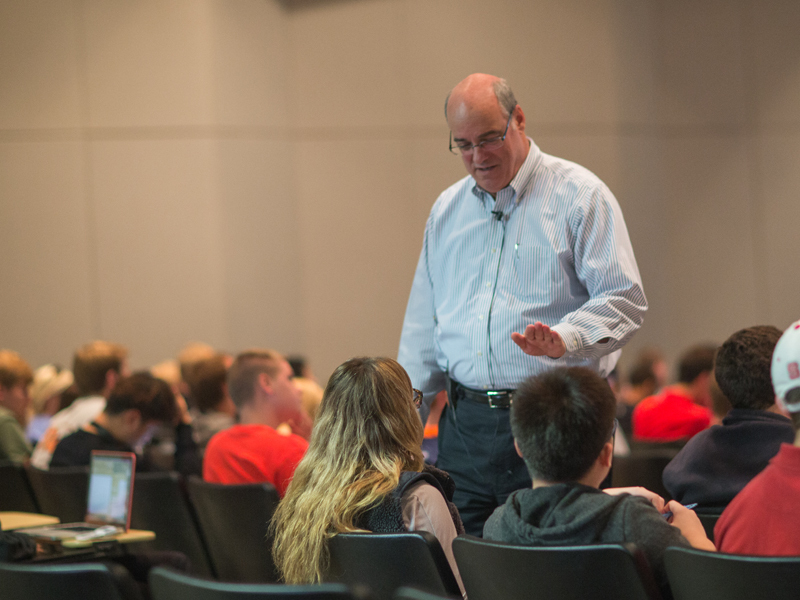 By assigning prep work and post work that replaced some of the lecture content, McKittrick modified his 75-minute lectures to include large chunks of active class time. Students paired up in class to work through case studies and sample problems. McKittrick and his TAs walked the aisles answering questions and guiding the class through practice problems. 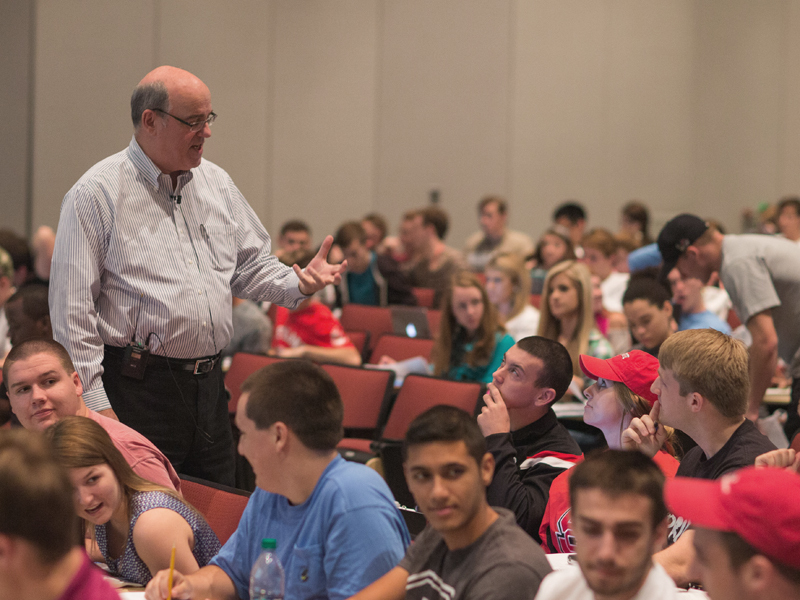 "There's only one way to learn accounting; you gotta do it," said McKittrick. In planning new strategies to shake up ACC 200, McKittrick and Ligon focused on ways to hold students accountable. They enhanced McKittrick's use of graded activities in class where students must respond to problems they are solving in class using Clickers. These in-class activities gave McKittrick live feedback on what students were getting and what they were not. "Some of these students have never been asked to work like this before," said Ligon. "They've had to sit in a classroom, where the focus was on the end-of-grade testing. They were taught to take the test. 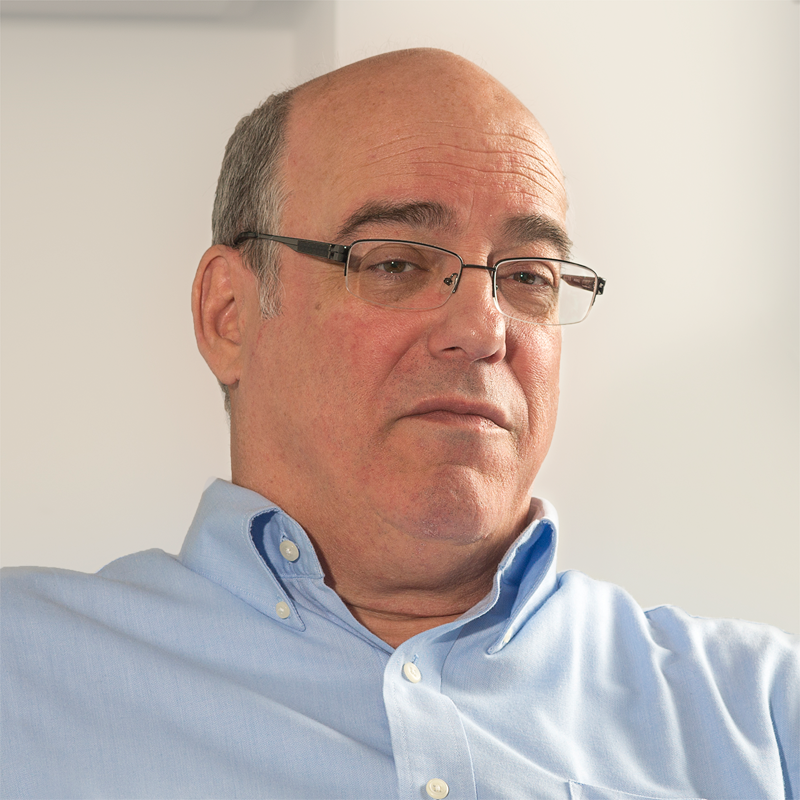 This is about mastering learning concepts and thinking critically and creatively in a way that they don't regurgitate what they've been taught in the class." After a few successful active classes, McKittrick was encouraged that his approach was on the right track. "I see more faces lighting up each day we take this approach. I sense my students are saying, 'Hey, I'm starting to get this. I think I can figure this stuff out on my own now,'" said McKittrick.